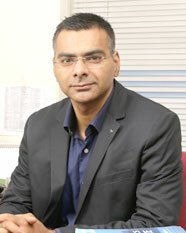 Chandan Sharma is faculty of Business Environmental at Indian Institute of Management, Lucknow, India. He teaches Macroeconomics, International Economics and Finance, Public Economics and Econometrics. His research focuses on Industrial Economics, Infrastructure, Development Economics, Political Economy and Shadow Economy. He has worked extensively on firm-level productivity, ICT, R&D, Infrastructure and growth nexus, Optimum currency Area (OCA) and International reserves. He has completed several research projects sponsored by Government of India and multilateral agencies. He is a recipient of Best Young Economist award-2013 given by the Indian Econometrics Society. He received a Ph.D. from University of Delhi. His research interest at micro-level (firm or plant level) includes examine the effects of public infrastructure, Research and Development, Exporting and Importing, and Technology Transfer on productivity of firms. He has also worked extensively on causes and effects of corruption at micro as well as macro-level. At macro-level, his interest primarily lies on issues of optimizing the size of international reserves, exchange rate determinants, Optimum Currency Area (OCA) and estimating the size of black economy and illicit capital outflows. His recent research works also cover inequality of opportunity in India due to caste and religious discrimination and its implications for growth. His research papers appear in reputed and high impact factor international journals, such as, Journal of Policy Modeling, International Review of Financial Analysis, Quarterly Review of Economics and Finance, Social Indicators Research, International Review of Applied Economics, Applied Economics Letters, Journal of Asian Economics, Transforming Government: People, Process and Policy, and others. M.A., Applied Econometrics, Pondicherry University, India. B.A., Economics (Hons), Banaras Hindu University, India. Recipient of Best young economist award (Prof MJ Manohar Rao Award) for the year 2013 by the Indian Econometric Society. Shortlisted for final round NASI – Scopus Young Scientist Awards (2017) in “Social Science” awards category.